Not getting enough sleep can make you a hazard on the road, maybe you should consider a tracking band to help you sleep better and drive safer? Which fitness band is best? We put them to the test and yes Virginia there is a clear winner. This summer the roads are going to be jammed and accidents will happen. Make sure you have a lawyer on your side. If we don't win you don't pay, easy as that. A new Merc cruising SoCal? We found the Mercedes Fastback camouflaged and cruising Southern California. Even in Camo, that is one good looking ride. Summer is winding down, drive careful as you sneak in that last long weekend. If you do get into an accident, we'll be here to protect your rights if you get hurt. Accidents happen, and when they do, you need help to protect your rights. Don't try to deal with insurance companies, trucking companies and corporations by yourself. They have lawyers, get a lawyer on your side. 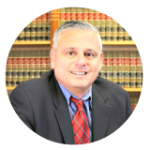 The Mastrangelo Law Offices never charges a fee unless we get you money. Our consultation is FREE and we'll let you now how we can help you. Isn't it worth a phone call to protect your rights and get an experienced personal injury lawyer on your side?